How much is Javed Akhtar Worth? 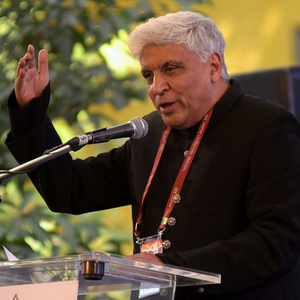 Javed Akhtar Net Worth: Javed Akhtar is an Indian poet and writer who has a net worth of $20 million. Born in Khairabad, Sitapur, Uttar Pradesh, in 1945, Javed Akhtar studied at Colvin Taluqdars' College and Aligarh Muslim University. He moved to Mumbai during the mid-'60s in an attempt to work in the film industry. Akhtar's career didn't take off until the start of the next decade, with his first major success being the script for "Andaz". Akhtar worked closely with his script-writing partner, Salim Khan, during the decade, and they formed the well-known writing duo Salim-Javed. They went on to write dozens of popular scripts, including "Haathi Mere Saathi", "Yaadon Ki Baaraat", "Zanjeer", "Deewaar", "Premada Kaanike", "Trishul", "Kaanike", "Zamanda", and "Mr. India". In the early '80s, he started writing lyrics to accompany movies, and soon after, the duo split in 1982. They are considered to be among the most prolific scriptwriters in history and the first to achieve their level of stardom in Indian filmmaking. Javed has won close to a dozen Filmfare Awards and was honored with the Sahitya Akademi Award in 2013, the second-highest achievement given in India, for "Lava", a collection of poems. Akhtar was married to his wife, Honey Irani, until their divorce after it was rumored he was involved with his now-second wife, Shabana Azmi. Akhtar and Irani had two children together.